Researchers found women following a diet low in fat and high in fruits, vegetables and grains actually lost weight, not gained weight. Published in the Journal of American Medical Association in January 2006, the Women’s Health Initiative Dietary Modification Trial followed close to 50,000 post-menopausal women for more than 7 years. 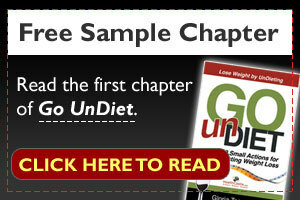 Results showed that, in the first year, the women trained to eat a healthy low-fat diet lost about 5 pounds. After 7 1/2 years, they still maintained a modest weight loss compared to the women who did not receive education on healthy eating. Editor’s Note – Finally: hooray for a low-fat high-carb diet! Carbohydrates are found in fruits and vegetables. Emphasize on choosing a variety of fruits and dark green leafy as well as bright-colored vegetables which are loaded with antioxidants and fiber. In addition, carbohydrates are also found in grain products. The American Dietary Guidelines recommend eating at least half the grains as whole grains – that’s at least 3 servings of whole grains a day. For more information about whole grains, refer to our Whole Grains Guide. choose leaner cuts of meat such as skinless breast from poultry. For beef, choose eye of round, top round roast, top sirloin and flank; for pork, choose tenderloin and loin chops.